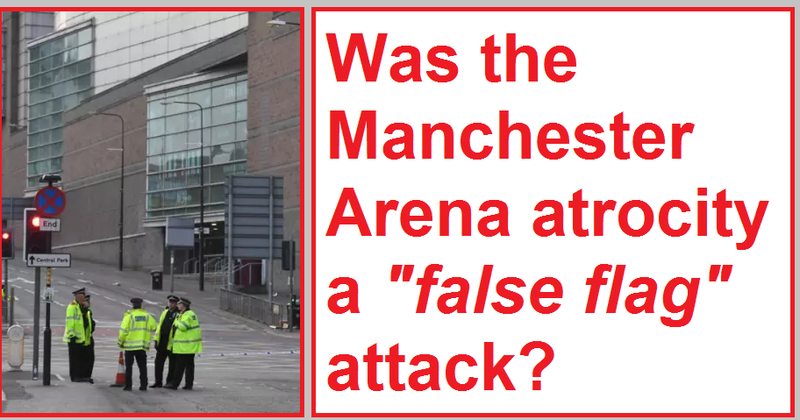 Numerology of false flag terror events; US media publishes pictures of Manchester bomb parts infuriating UK; CNN reports Manchester as possible false flag; Jeremy Corbyn surging in the polls before Manchester terror; Tory Teresa May benefits from terror event before upcoming national election; Tory neoliberal austerity program; Westminster Abbey attack; Guy Fox false flag; Dementia Tax; Operation Gladio; the left the real target of staged terror; Left Forum in NYC bans four deep state panels; Corbyn wants investigations into 9/11, pedophilia and Israeli nuclear program; who targets innocent civilians; Abedi family blamed for Manchester terror; Libya Islamic Fighting Group. Produced, edited and mixed by Bonnie Faulkner, Yarrow Mahko and Tony Rango. This show was broadcast on June 5, 2017. This entry was posted on Sunday, June 4th, 2017 at 11:13 pm	and is filed under 9/11, Anti-War, Censorship-Propaganda, Death Squads, Education, False Flag/Fake Terror, Freedom, Geopolitics, Guns & Butter, Justice, Kevin Barrett, News, Politics, Protest. You can follow any responses to this entry through the RSS 2.0 feed. The band L’Orchestre Noir released an album called “11” in 1998. It’s a little obscure, but came out of the oppositional neofolk musical movement in Europe in the 90s. Maybe you can play some of this music the next time freemasons bomb something on the 11th or 22nd of a month. It shouldn’t be a long wait.